John I. Nejoh is the Director of ARCO Group Plc. He joined ARCO in April 2006 as a key member of the turn-around Team of the company. Mr. Nejoh read Economics at the prestigious University of Benin, Benin City between 1984 and 1988 and obtained a Bachelor of Science degree in Economics. Mr. Nejoh was a scholar and emerged the best all-round graduating student in the Faculty of Business/Social Sciences in 1988 obtaining numerous prizes for academic excellence. 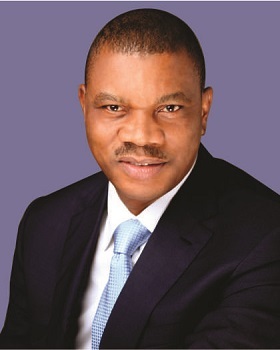 He also has a rare distinction of passing all the stages of the qualifying examinations programme of the Institute of Chartered Accountants of Nigeria (ICAN) within 12 calendar months between November 1991 and November 1992. He is a Fellow of the Institute. In pursuit of his knack for academic excellence, Mr. Nejoh attended the University of Lagos, Akoka, Yaba, and Lagos between 1997 and 1999 where he obtained the Master of Business Administration (MBA) degree specializing in Marketing. In 2002, Mr. Nejoh was one of the 5 Nigerians selected by United States based International Foundation for Education and Self Help (IFESH) in conjunction with United States Agency for International Development (USAID) for the “Best and Brightest” African Bankers Training/Exchange Programme at JPMorgan Chase Bank, New York City. Mr. Nejoh has over 25 years experience in consulting, teaching as well as banking and finance in top flight institutions including Nigeria International Bank (Citibank Nigeria). He has attended numerous local and off-shore courses including the Strategic Management Program at Harvard Business School (HBS), Cambridge, Massachusetts, USA and the Advanced Management Program (AMP) at the Lagos Business School (LBS).